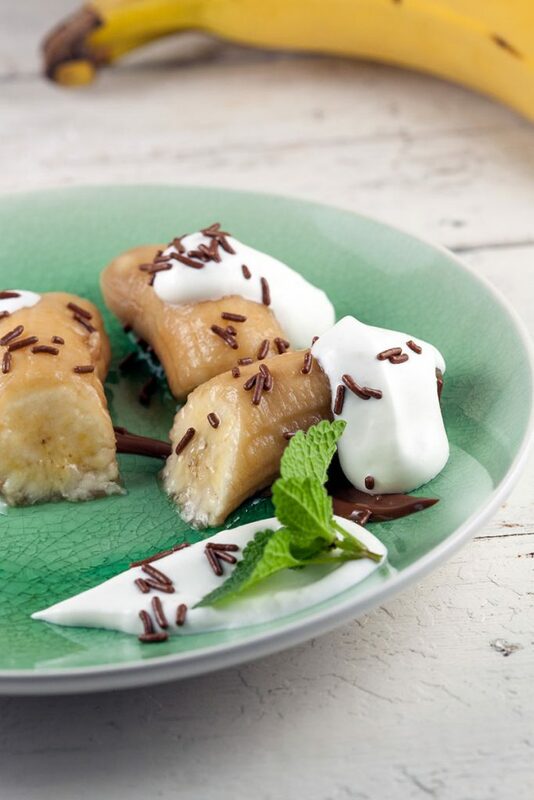 Drunken whisky bananas are a delicious dessert that doesn't take much effort. 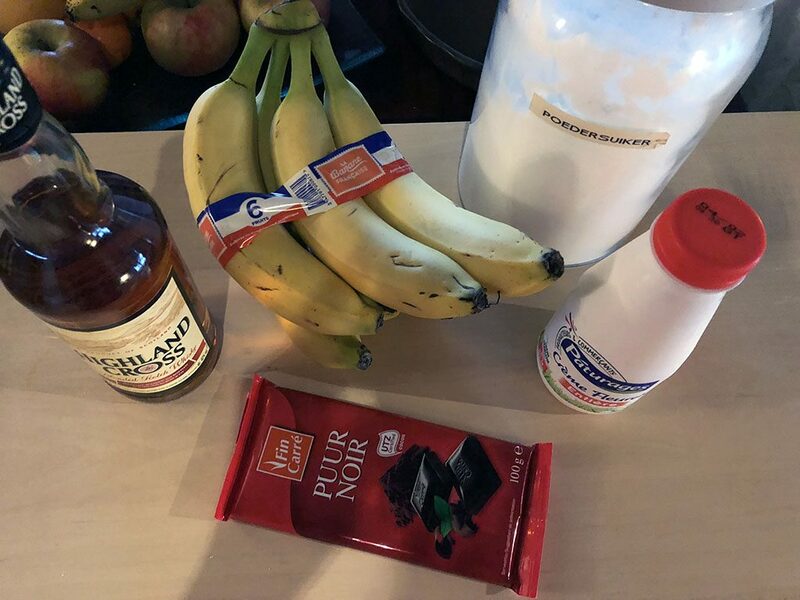 It may sound weird, but marinating bananas in whisky is really amazing. PEEL the bananas and place them in a medium-sized bowl, POUR the whisky over the bananas and let them marinate for about an hour. The longer you’ll let it marinate, the stronger the whisky flavour will be. Depending how much you like whisky, too strong wouldn’t be more delicious we thought. Meanwhile CREATE a simple chocolate sauce by heating up 50 ml cream. As soon as the cream is hot you can add the chocolate bar and stir until it has dissolved completely. BEAT the rest of the cream with powdered sugar to taste until it reached the desired thickness. 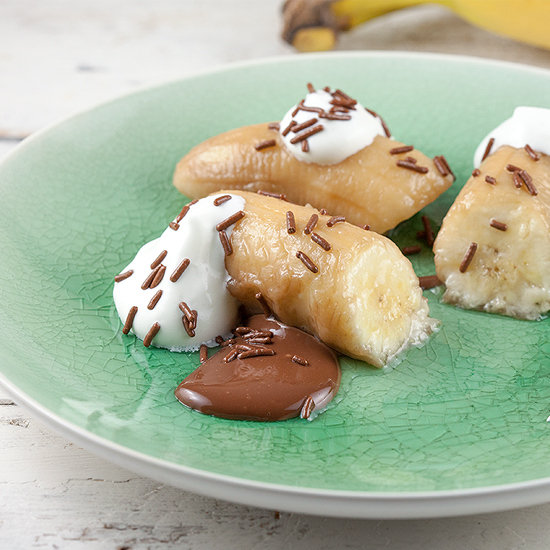 DIVIDE the bananas into pieces and divide over 4 plates along with the chocolate sauce, whipped cream and vanilla ice cream if you like. FINISH with chocolate shavings and fresh mint. Enjoy!